We are a locally owned, full-service upright bass (aka “double bass” or “stand up bass”) store right here in Maplewood St. Louis. None of us are paid commission when an instrument is sold or rented. While this page is about upright acoustic basses available for purchase, keep in mind that in some situations you might be better renting first and possibly later to buy, a process made all the easier because you can apply 100% of the rent towards buying the instrument. 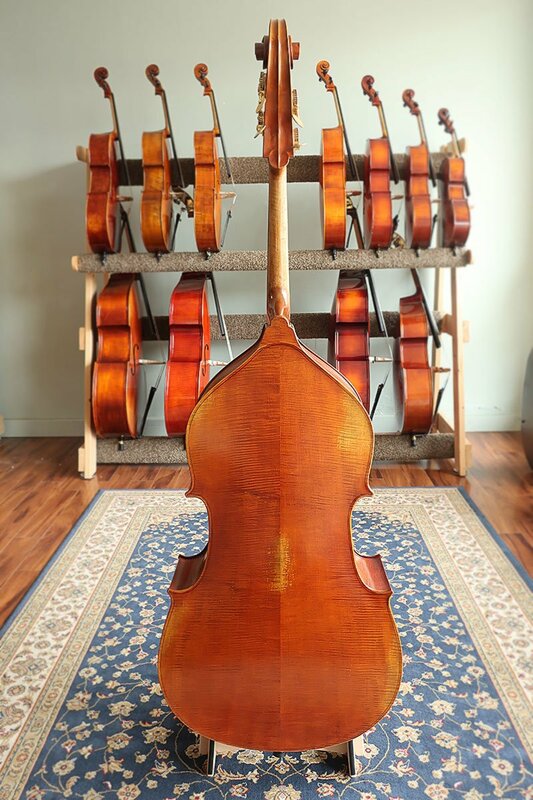 The three of us who own Top Notch Violins used to work at a different St. Louis violin store – a store owned by an out-of-state businessman and a store that only carries one brand of instruments. 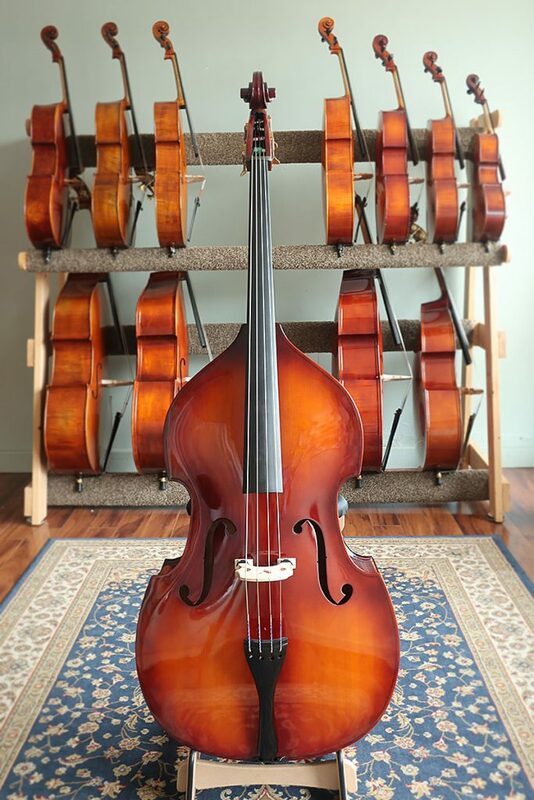 With our various backgrounds in music education, performance, and luthierie, over time we became convinced that carrying only one brand of basses did not provide the proper range of options to St. Louis bass players. 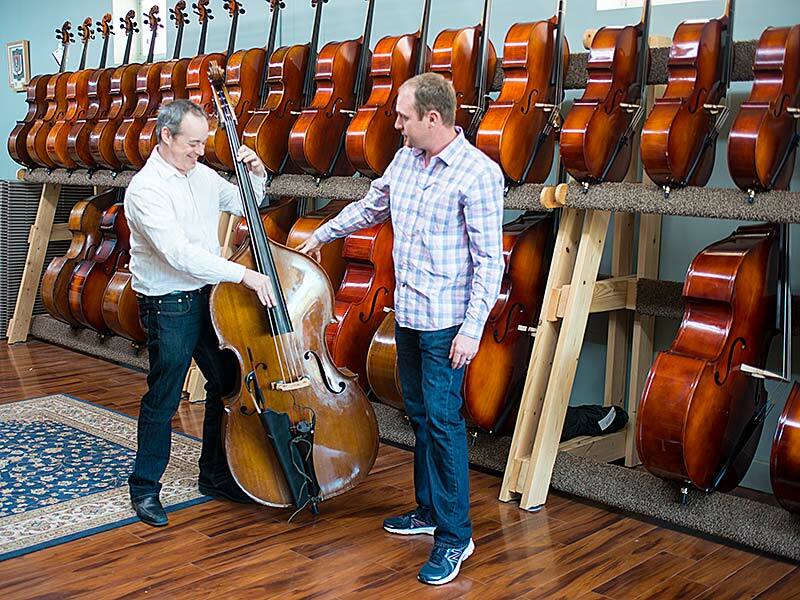 When we opened Top Notch in 2014, we knew we needed to carry more more than one line of basses – and those product lines are all featured on this page. Should you rent or buy a bass? And honestly, we cannot answer those questions without first getting to know you a bit. Tell us about yourself, your musical background, and your goals for the future. 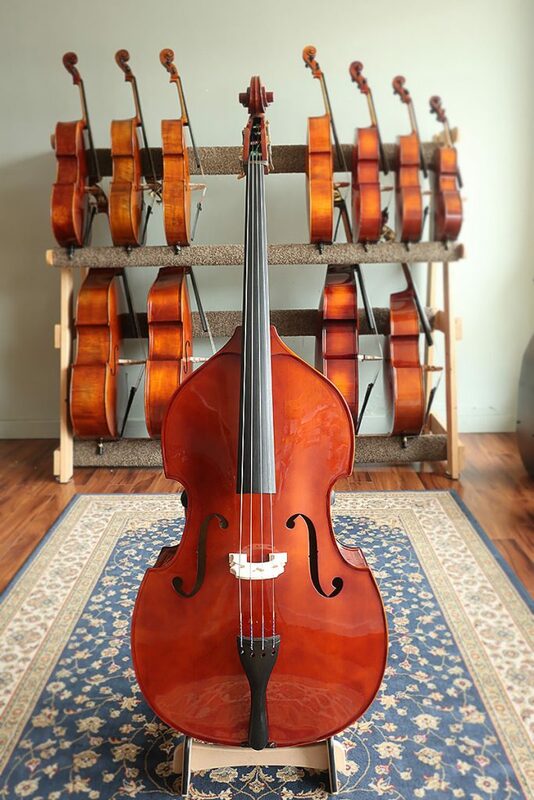 As we learn more about you, we can help you discover exactly which bass is likely best for you. Next? You need to play it and see how it feels and sounds. Which is why it isn’t possible to buy your ideal bass over the internet. 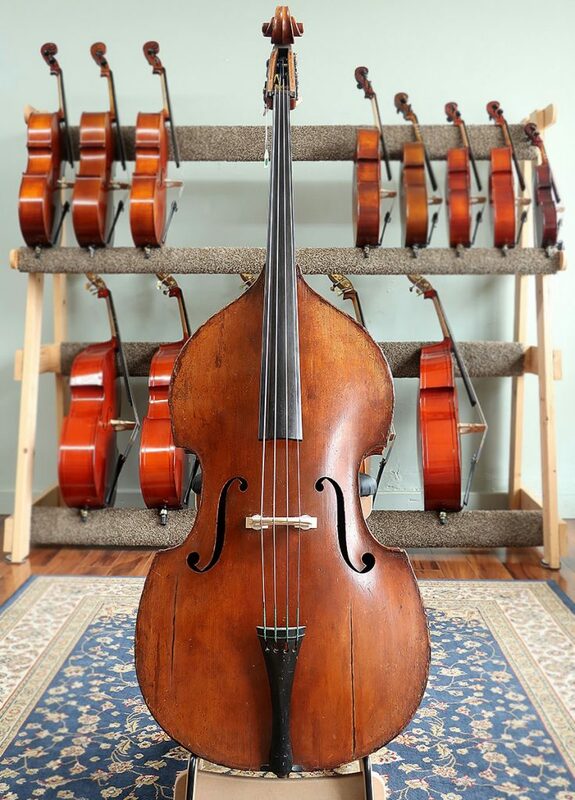 Our Series 1000 Double Basses are a great student bass available in a broad range of sizes. What sets these basses apart from our others? They are made of plywood. Yes, plywood – something most people would never guess (see what we mean by clicking to view the high resolution photos or stopping by the store). Plywood is why this bass is so affordable, yet plywood actually has an advantage over carved wood basses: durability. Plywood is a much stronger wood than carved wood, which is another reason these are great student basses. How does the bass sound? Really good. Keep in mind that a larger bass will have a greater depth and resonance than a smaller bass. To see the difference, stop by the store and try this bass in a 1/8 size and then a 7/8 size. While some can’t tell a difference, others will notice a difference. 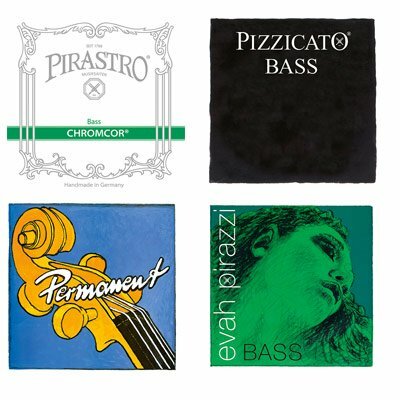 All around, this is a great starter bass and one we are pleased to put our name on. Our Series 1000 basses include a maple bridge, ebony fingerboard tailpiece and endpin, Tyrolean tuners, and Helicore orchestral strings. $1700. Stop by our Maplewood store to demo and purchase. $70/month or $600/year. Rent online or in store. 100% of rent payments can be applied to purchase of instrument. Click for rental information. Our Top Notch Series 2000 Double Basses are “hybrid” basses. If you read the description of our Series 1000 plywood basses, you are aware of the benefits of plywood (affordability, and durability). Our hybrid basses give you 90% of a carved bass sound, while still providing most of the benefits of plywood (affordability and strength). This is achieved through a carved wood spruce top and plywood back and sides. The back and sides have flamed maple veneers – click into the high resolution photos and you can view the front, back, and side of the bass. While some will not be able to tell a sound difference between a similar-sized Series 1000 (plywood) and 2000 (hybrid), there is definitely a difference. However, differentiating between the sound of a Series 2000 (hybrid) and Series 3000 (entry-level carved) is much harder. 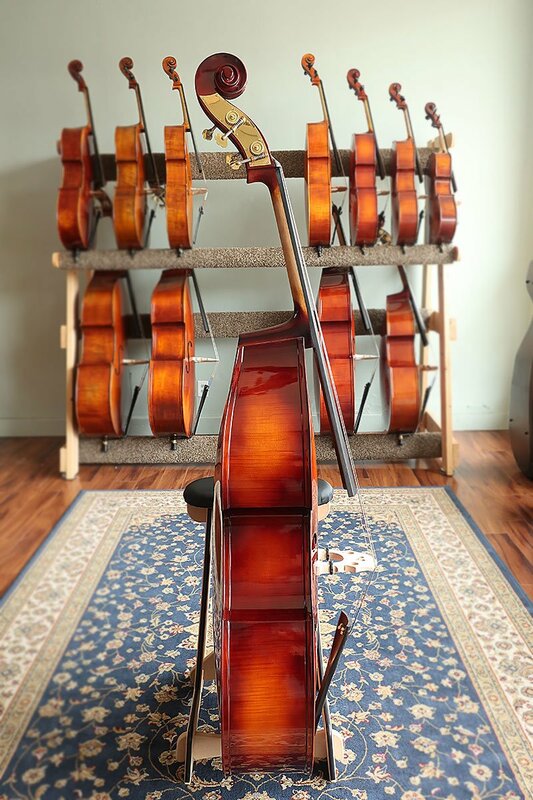 Stop by our store to try these basses out! 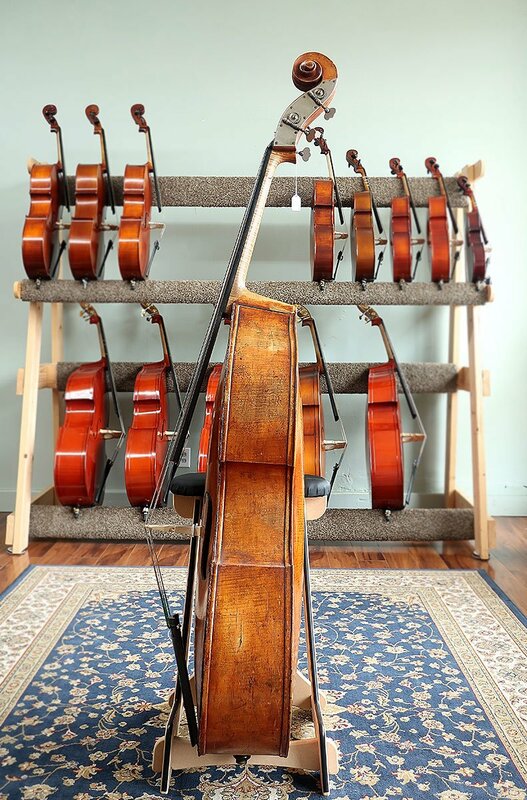 Our Series 2000 basses include solid spruce top, plywood back and sides with flamed maple veneers, maple bridge with adjusters, ebony fittings, Tyrolean tuners, and Helicore orchestral strings. $2400. Stop by our Maplewood store to demo and purchase. $105/month or $900/year. Rent online or in store. 100% of rent payments can be applied to purchase of instrument. Click for rental information. 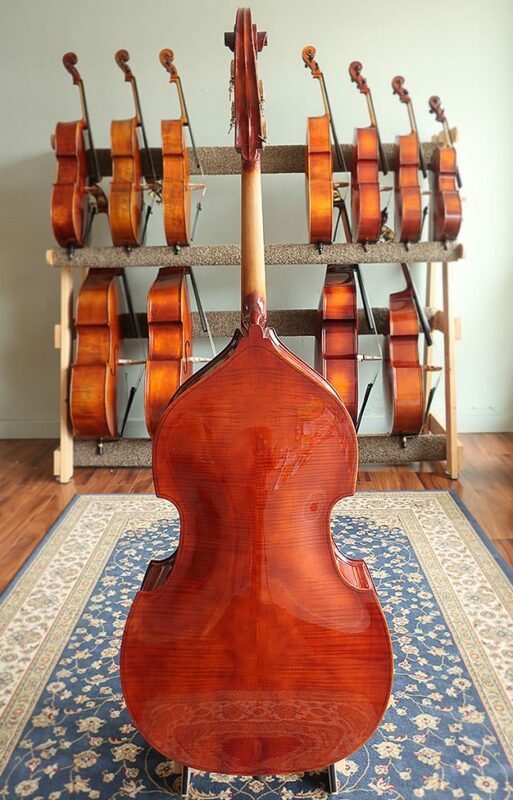 Our Top Notch Series 3000 Double Basses are hand-crafted, fully carved basses made from seasoned hardwoods. The top is a solid spruce while the back and sides are solid maple. They look gorgeous, sound amazing, and are very playable. The finish is a lightly antiqued amber brown varnish which brings out the beauty of the wood. If you are in the market for an upright bass, you will want to stop by our store to try these various models! 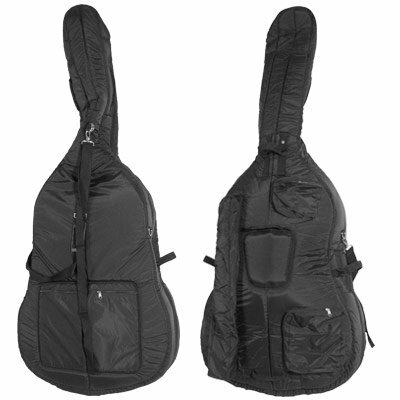 Series 3000 Stand-up Basses are only available in larger sizes (3/4 and 7/8). Our Series 3000 basses include a fully carved solid spruce top, solid maple back and sides, maple bridge with adjusters, ebony fittings, Tyrolean tuners, and Kaplan strings. $1200/year. Rent online or in store. 100% of rent payments can be applied to purchase of instrument. Click for rental information. Have a question? 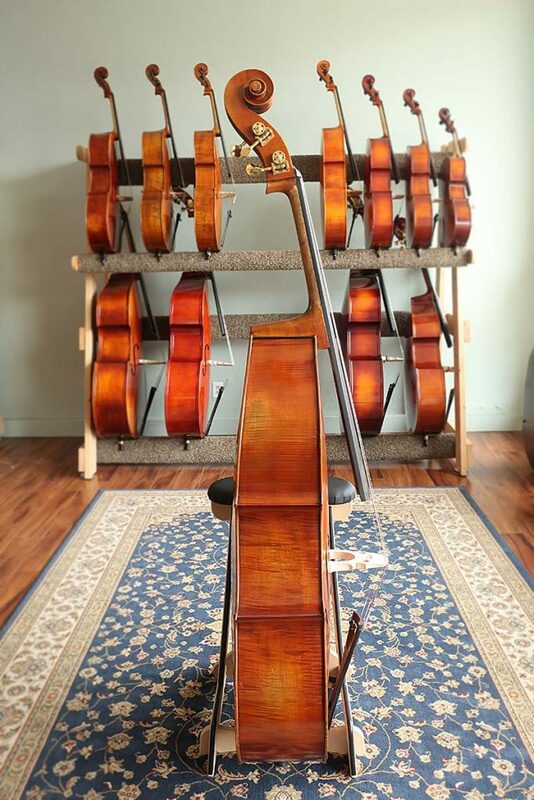 The only way we can help you discover the perfect instrument for you is to get to know you. Stop by our Maplewood store, or contact us via our web site. 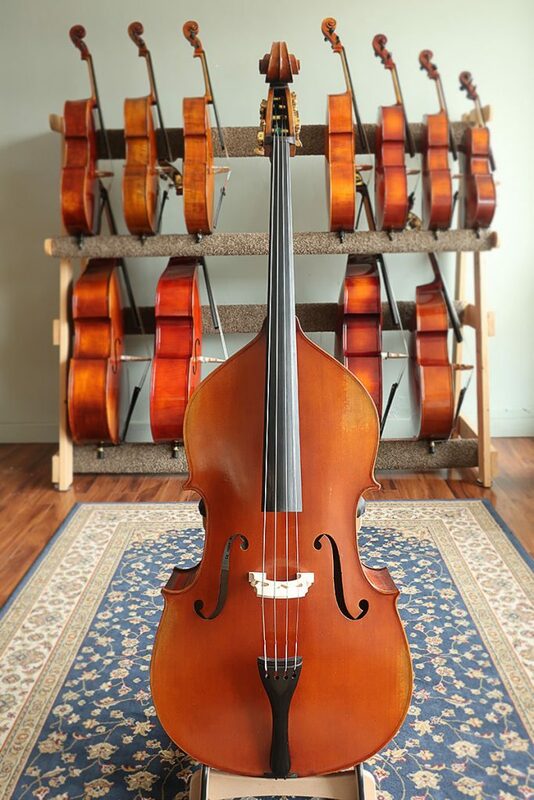 We can help you discover the joy and passion an upright bass can add to your life! These are beautiful basses with a deep, resonate, sound with great playability. 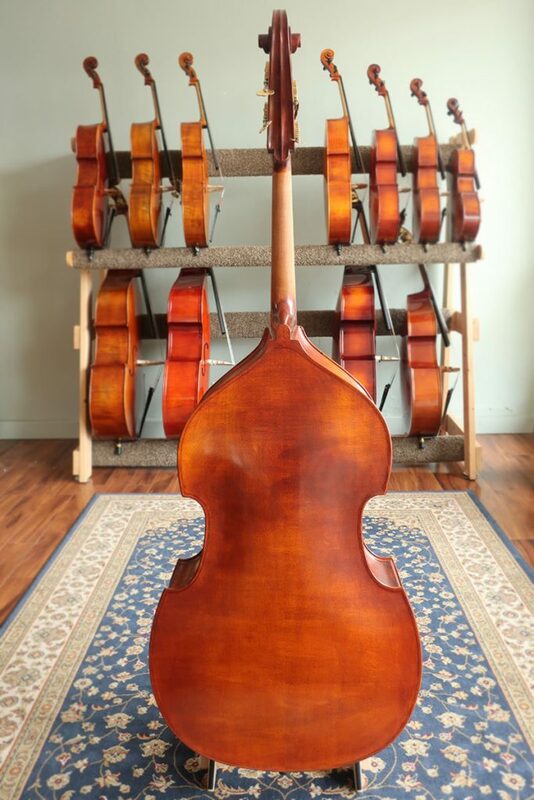 Our Top Notch Series 4000 Upright Basses are all hand-crafted, fully carved basses made from aged, and seasoned, hardwoods. The top is a solid spruce while the back and sides are a flamed solid maple. The beauty of the wood is accentuated by the hand-applied, oil varnish. Series 4000 Stand-up Basses are only available in larger sizes (3/4 and 7/8). 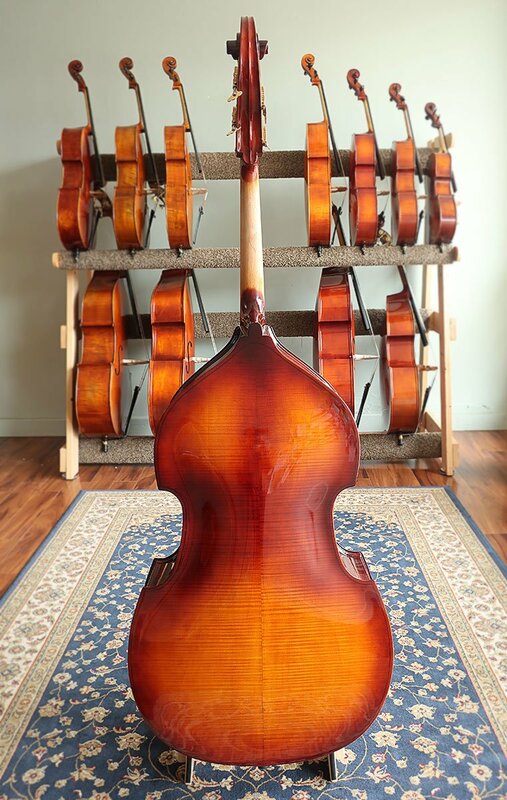 Our Series 4000 basses include a fully carved solid spruce top, solid flamed maple back and sides, superior maple bridge with adjusters, ebony fittings, Tyrolean tuners, and Evah Pirazzi strings. $4000-$4500. Stop by our Maplewood store to demo and purchase. Our workshop 5000 Series Double Basses are crafted under the direct supervision of a master luthier and features the highest quality most select 10 year old stunningly flamed maple back and a select grain spruce top. The finish is beautiful and hand-applied. While all of these factors, yes, contribute to the beauty of the instrument, they also improve the tone, depth, resonance, and projection of the instruments. Series 5000 Stand-up Basses are only available in larger sizes (3/4 and 7/8). Our Series 5000 basses include a fully carved select grain solid spruce top, solid flamed maple back and sides, superior maple bridge with adjusters, ebony fittings, Tyrolean tuners, and Flexicore Deluxe strings. $5600-$6400. Stop by our Maplewood store to demo and purchase. 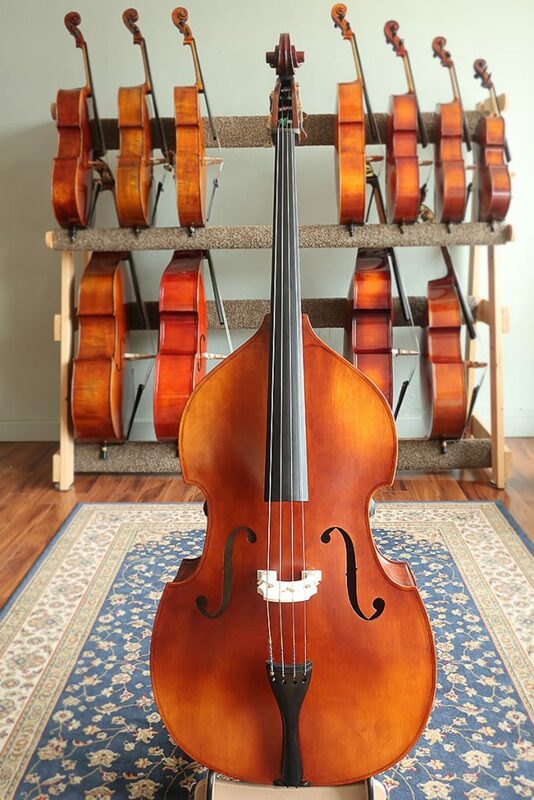 We also carry a selection of basses available via consignment. 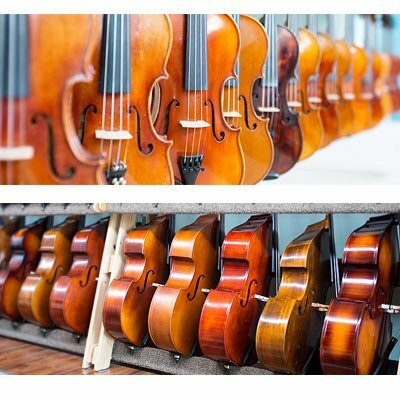 In the world of hand-crafted stringed instruments, often a quality, older instrument can sound as good, or yes, even better, than brand-new hand-crafted instruments. 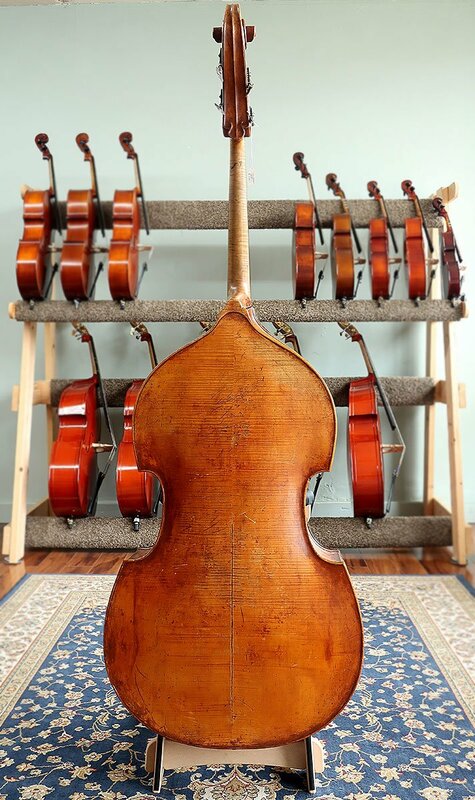 While our selection of consignment basses varies, the bass pictured at right is a 1910 Andreas Morelli full-size bass. 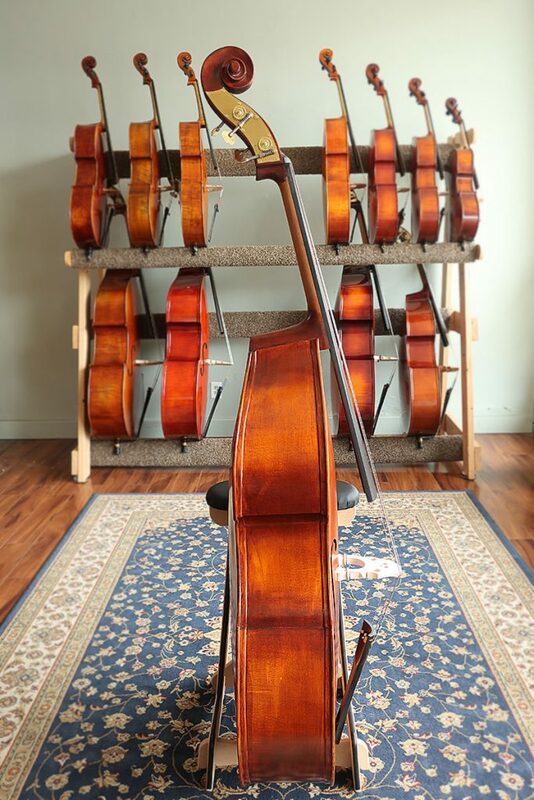 To view our selection of consignment basses, stop by our Maplewood store today! $6000-$16000. Stop by our Maplewood store to demo and purchase. centimeter’s from the bottom to the top of a full size upright bass. Upright basses Ted has modified or worked on. Earliest illustration of a “double bass”, although written reports of “viols” as large as a person exist prior to that. 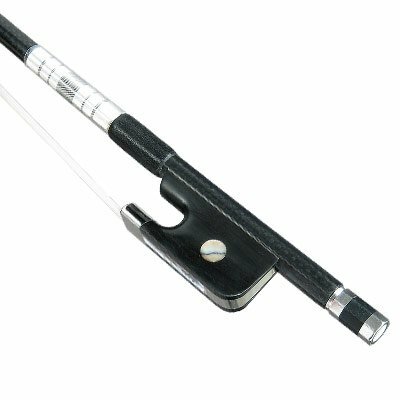 We carry a full line of double bass bows, from composite bows for beginners all the way up to high-end hand-crafted wood bows. 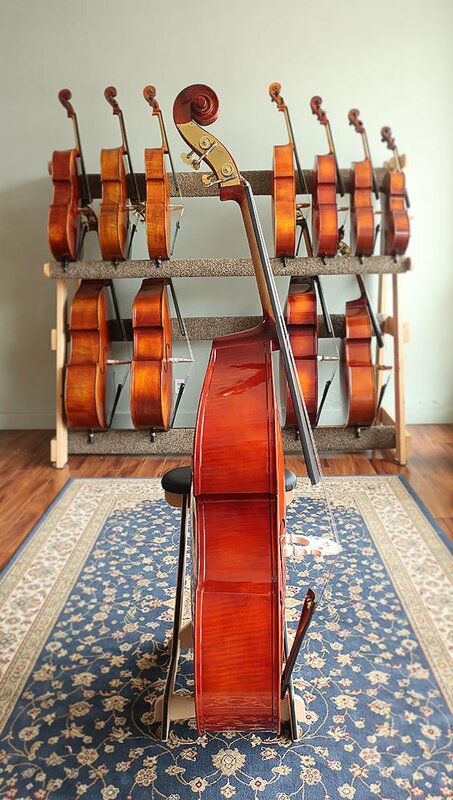 While every bass we sell (or rent) includes a case, if you want a different, or upgraded case, we have plenty. Stop by our store to view our selection. Replacement strings, from Thomastik-Infeld to Paristro – and more! 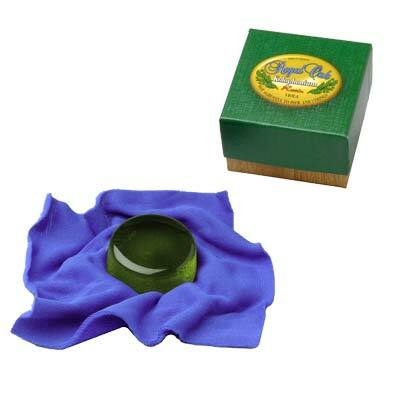 We can also assist with installing your new strings. 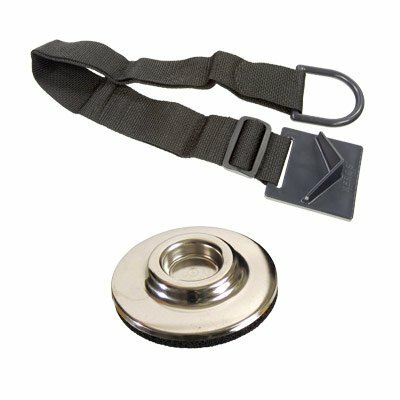 Endpins and endpin-related accessories. Make sure your bass is positioned properly for you by trying out endpin straps here in our store (something you can’t do if you buy from Amazon). 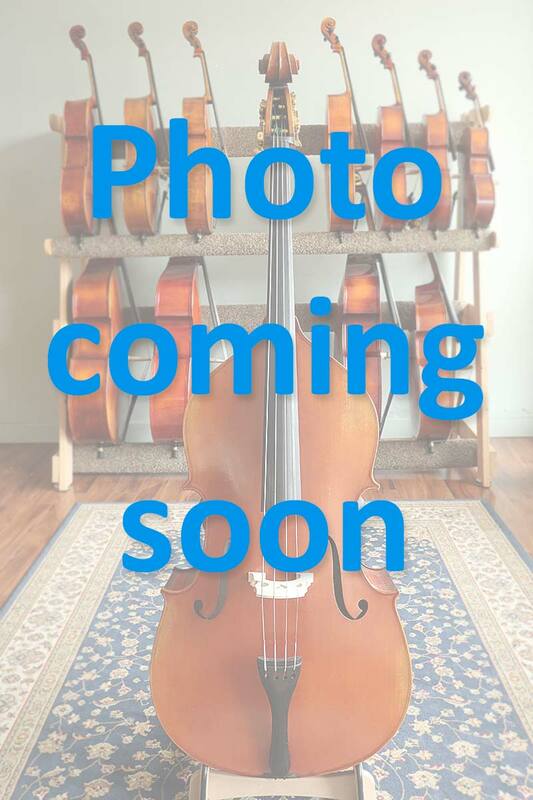 Return to the “all instruments” page (which links to our violins, violas, and cellos).